14 oz. 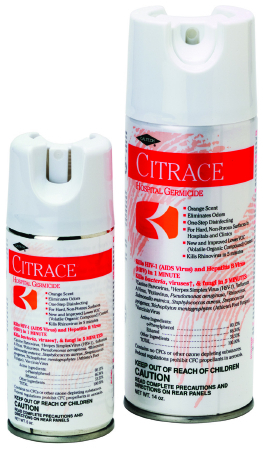 citrus scent aerosol disinfectant and deodorizer spray. 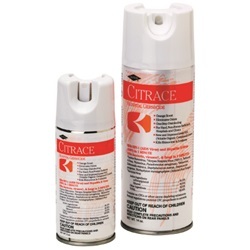 Provides instant odor relief and disappears after 10 minutes. For use with telephones, counter tops, toilets, stethoscopes, bathrooms, waiting rooms, and all other healthcare environments.